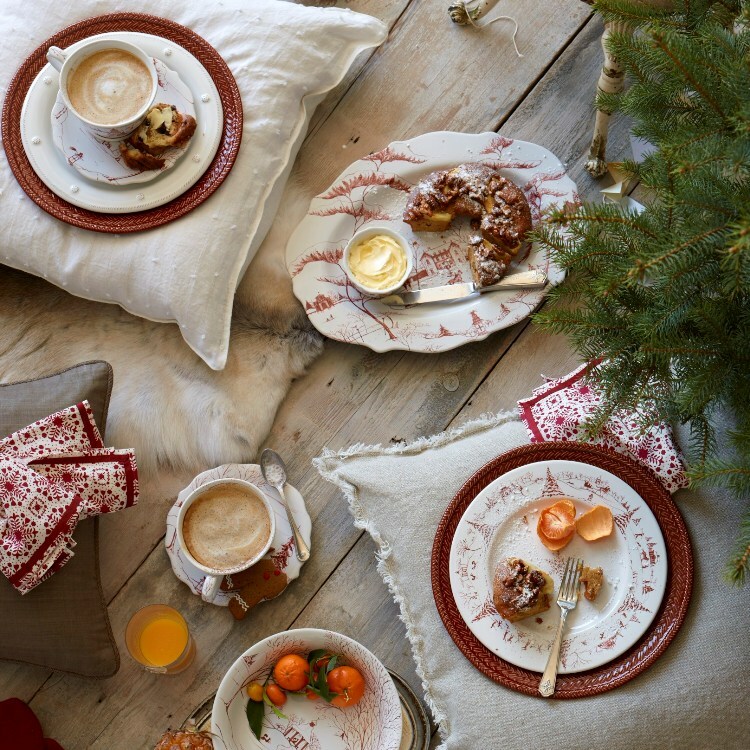 We have a fascination with Holiday table settings. They set the mood for memorable moments in life. This simple and easy tablescape is sure to set the mood. Can you hear the fire crackling? Country Estate Ruby Platter, and Country Estate Ruby Serving Bowl.